Neal Roth won his most important legal battle this fall. But the outcome was decided in the state’s voting booths rather than in the courtroom. A nationally respected trial lawyer and managing partner of Grossman Roth in Coral Gables, Roth led the successful merit retention campaign that kept three justices on the Florida Supreme Court. Teaming up with political allies like former Republican state senator Alex Villalobos, Roth was the mastermind in a campaign to educate voters about merit retention and the importance of fair and impartial courts. After the Nov. 6 ballot victory, Villalobos had high praise for Roth’s acumen and leadership. With his analytic skills and compassion for victims of negligence, Roth has focused his trial practice on medical malpractice, personal injury, legal malpractice, securities fraud, bad faith and age discrimination cases. He has long been active in the Florida Justice Association, serving as president and playing an active role in the organization’s political and legislative matters. In 2003, they honored him with the Perry Nichols Award, recognizing a career dedicated to the advancement of justice. Roth considered a career in medicine, but decided his abilities were more suited to the law. He also heeded his father’s advice about the importance of being your own boss. After earning his bachelor’s degree at the University of Florida and law degree at Emory University, Roth honed his trial advocacy skills by obtaining an LL.M. at New York University with a concentration in law and medicine. 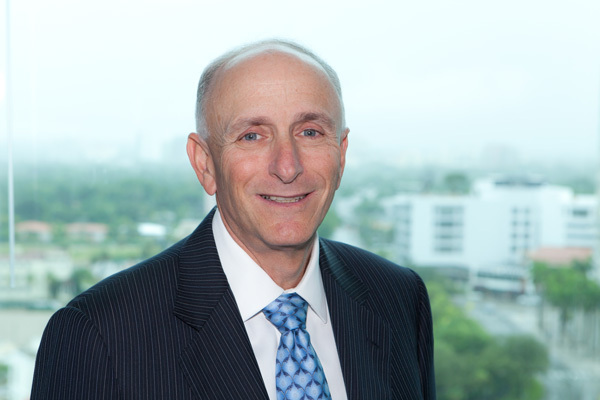 For more than six years, Roth worked with Miami trial attorney Stanley Rosenblatt, before opening his own firm in 1985. His practice grew quickly and in 1988, Roth teamed up with Stuart Z. Grossman to form Grossman Roth. Twenty-four years later, the Coral Gables firm has four offices and 11 attorneys. That attitude has paid off in many high-profile Florida cases. Shortly after founding the firm, Roth handled a case that changed hospital protocol involving pediatric electrocardiograms (EKGs). As an infant, Chantelle Berman had an EKG performed and interpreted by an adult cardiologist who failed to detect a congenital heart defect — a highly treatable condition if diagnosed in time. Unfortunately, Chantelle suffered irreversible pulmonary hypertension, and later died. After the case was settled, the hospital agreed to change its policies and procedures so that EKGs on children 12 years of age and younger would be interpreted by pediatric cardiologists. “Lives clearly have been saved” Roth says. On the personal side, Roth enjoys playing golf and attending Miami Heat games. “Before my high school accident, I was a decent athlete,” he says. “Since then, I’ve played golf through the years. My wife Vicki and I have a second home in Pebble Beach and we enjoy our time there.” Married for more than 40 years, the Roths have two daughters, Melissa and Lori, and four grandchildren. “We’re thinking about taking more family trips with the grandchildren,” he says.